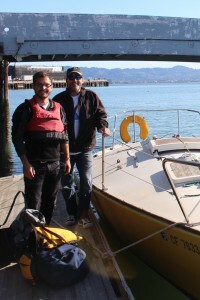 Ol’ Yeller is at Bay Marine Boatworks getting painted thanks to volunteers Jeff, Cory, and Michael. Fortunata and Great White are back. 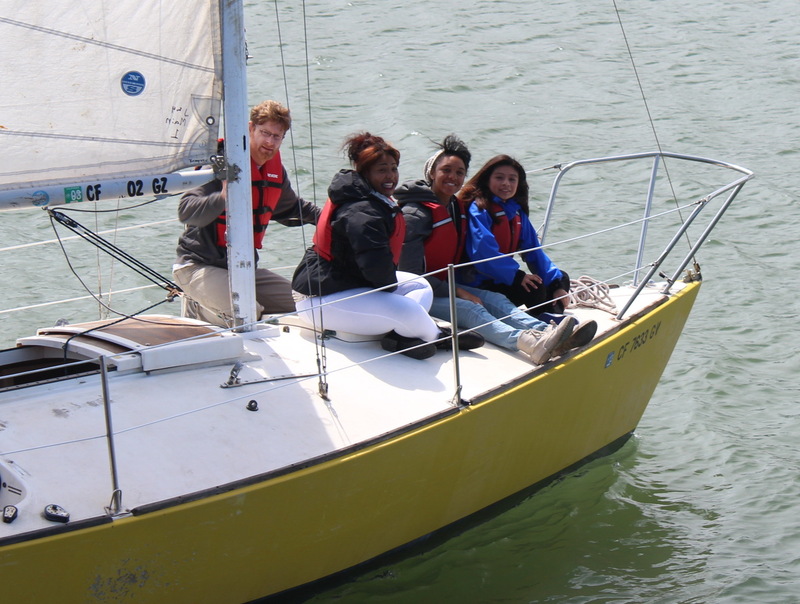 We’ll soon have seven great white hulls ready to be rigged for summer classes. Here’s 22 kids’ smiles. 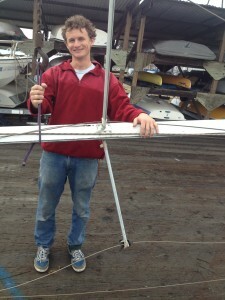 Jeff Knowles helped unstep Ol’ Yeller’s mast in preparation for the transit to Bay Marine in Pt. Richmond. Unfortunately, two engine failures and a dead battery ended our day shortly after we left the dock. A week later we departed again, this time using our 15′ ribby to tow Ol Yeller across the bay and retrieve Fortunata and Great White. Mother nature served up a great day for the transit. Cory Schillaci and Michael Weinman graciously stepped in to help with the rescheduled transit. 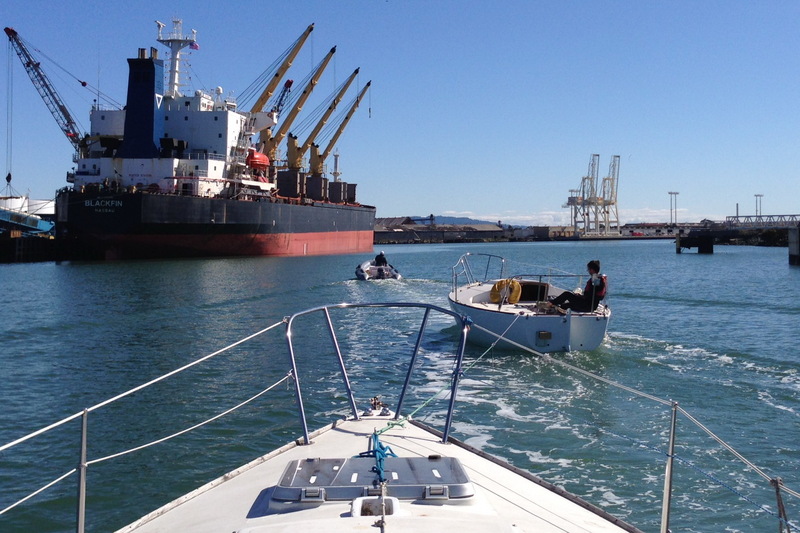 With the mast out and the boat already prepped for delivery we were able to depart Clipper Cove by mid-morning. We rounded the Pt. Richmond outer mark shortly after 11. Mt. Tam provided a photogenic backdrop to our morning transit. We admired the great paint job served up by the team at Bay Marine as we watched Fortunata and Great White (we joked that ALL our J’s are now great white) being dropped in for the return trip to TISC. If you look closely you can see Fortunata in the shiny reflection on Great White’s hull. 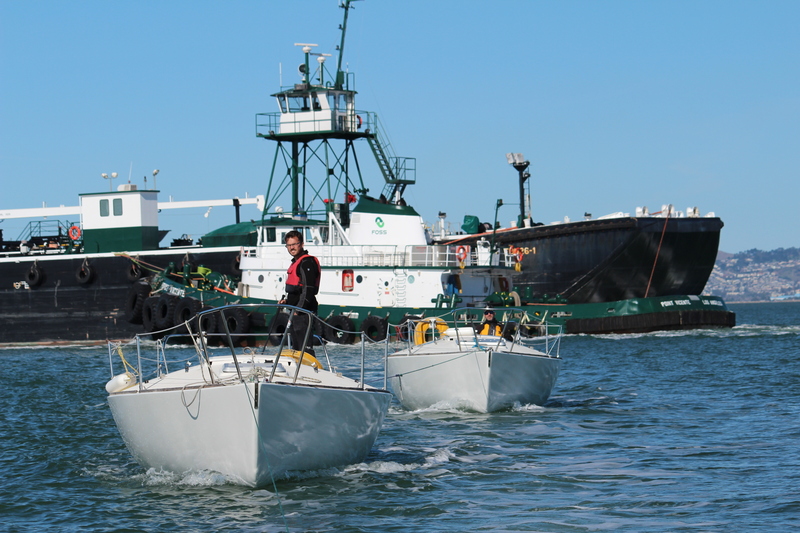 Two identical boats head back out the channel – on their way home to join another four great-looking white hulls back at Pier 12 in Treasure Island. Here’s a couple of pictures from Mike. The first as we pass an oiler that was running lifeboat drills when we first arrived, and the second as we rounded Great Oak Victory on the way back to SF Bay. The bay was rather quiet, however we did pass a couple barges on the way home. 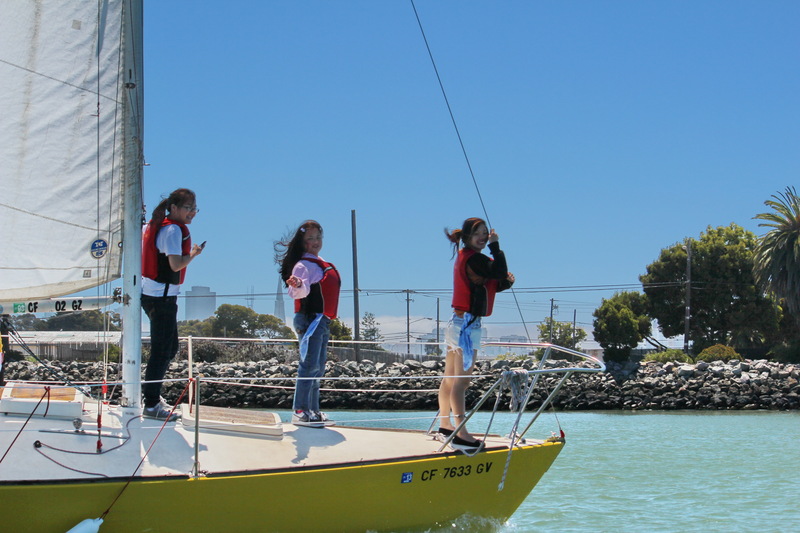 The trip back to Clipper Cove was aided by the wind at our back and a flood tide that helped on the final leg of our journey. 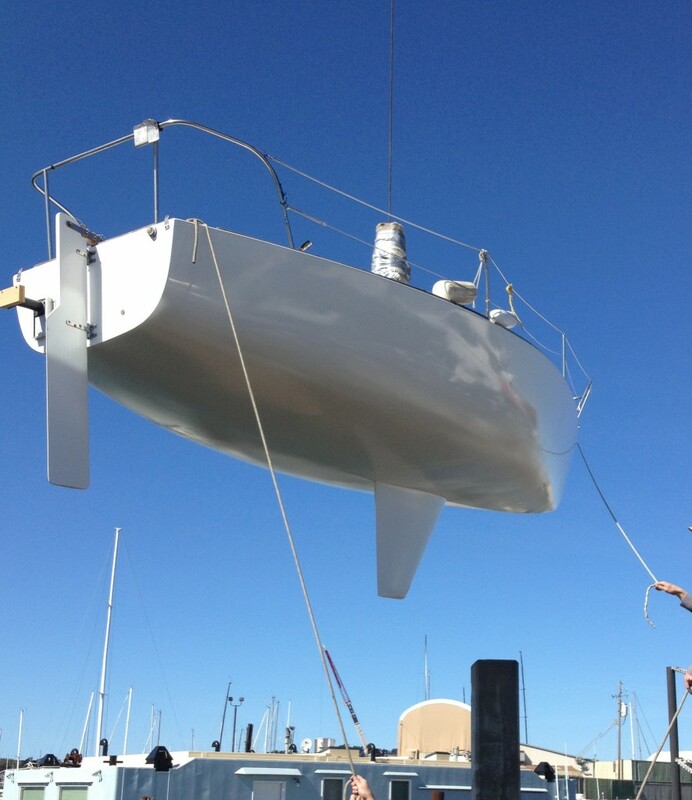 The hulls on six of our seven J/24’s are now refinished; the team at Bay Marine will have the seventh done soon. We’re getting close to “crunch time” for our opening day on April 26th. 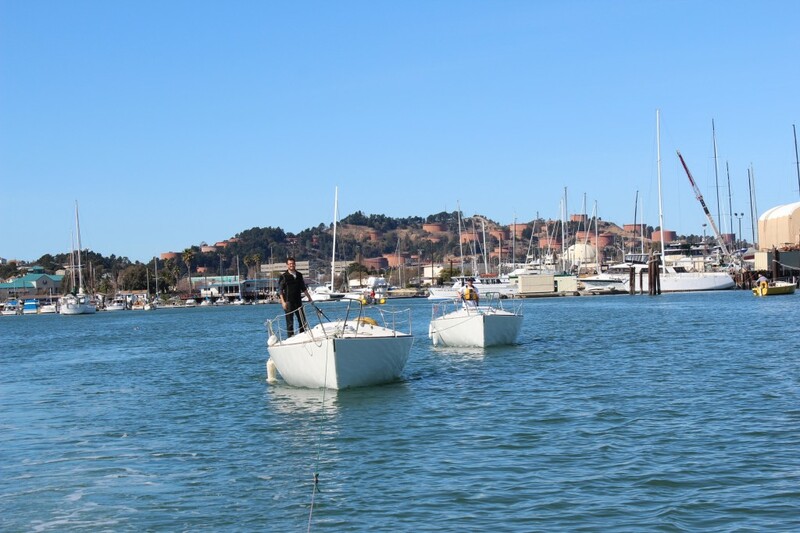 We can use help re-stepping the masts our our J/24 fleet, updating the traveler systems so the boats can be used for both sighted and visually impaired sailors, cleaning up the interiors, and adding graphics to the new hulls so we can keep track of which “great white’ hull is which. There are many ways you can help. 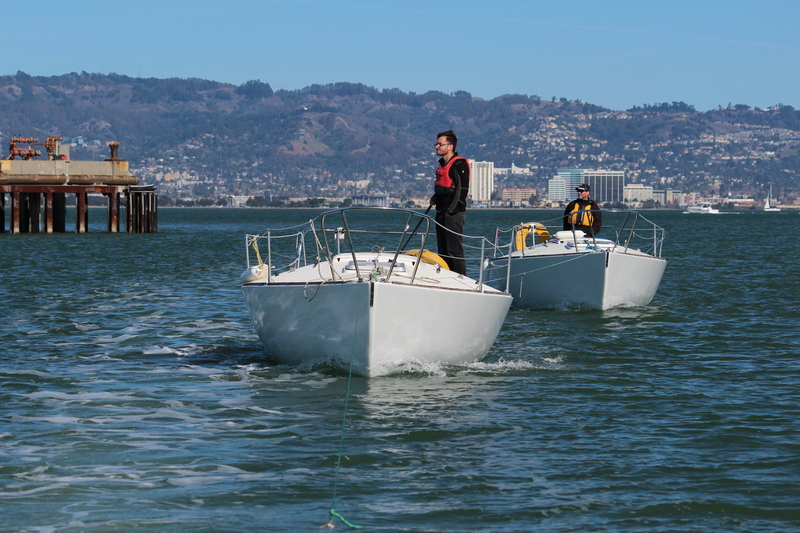 Purchase two new dock bumpers for your boat and donate the older ones to TISC – or just buy two new ones for our J24 fleet ! And for the really handy volunteer, join one of our teams working on re-fitting the traveler systems to prepare for our blind sailing days. 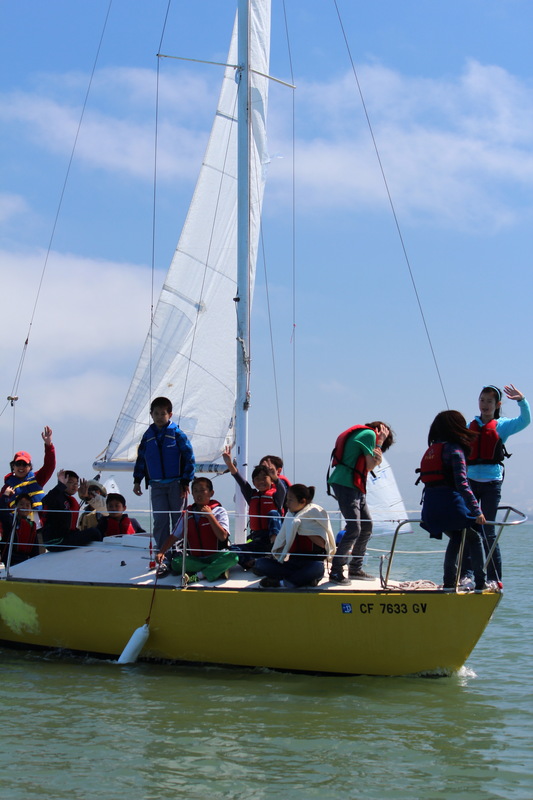 To volunteer, donate parts or make a tax-deductible cash gift please let me know (daveg@onclippercove.com) or contact the TISC Team in the TISC office (email info@tisailing.org or call 415-421-2225). 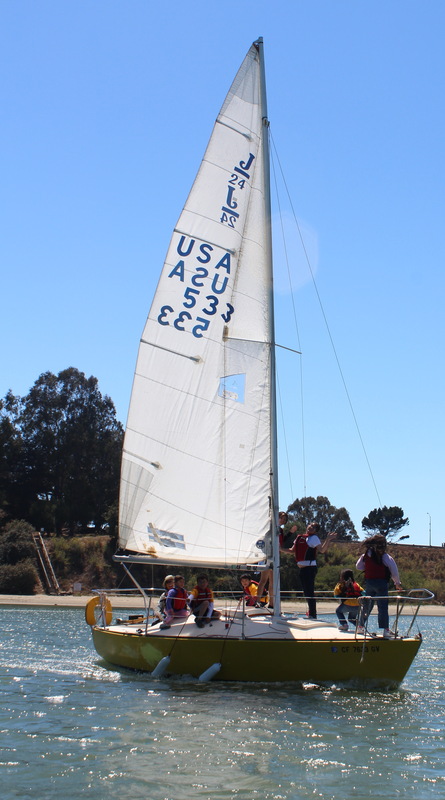 Sailing east of Treasure Island with blue water in front and TransAmerica Tower off the dirt quarter. 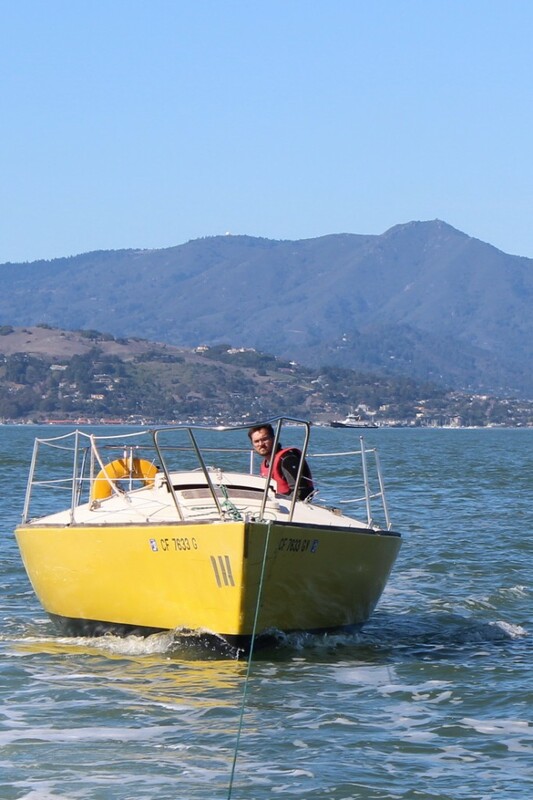 This entry was posted in Uncategorized and tagged Bay Marine Boatworks, Clipper Cove, J/24, San Francisco Bay, Treasure Island Sailing Center by skippersgift. Bookmark the permalink.